How much is area of 2bhk in Omaxe Aananda? 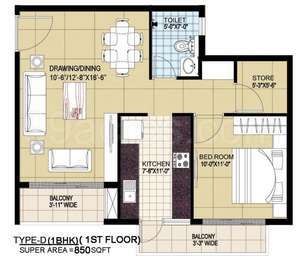 Two-room units (2BHK) in the project are available in an area of 1100.0 sqft to 1360.0 sqft. What is total size of Omaxe Aananda?The project is built over an area of 11.0 Acres.